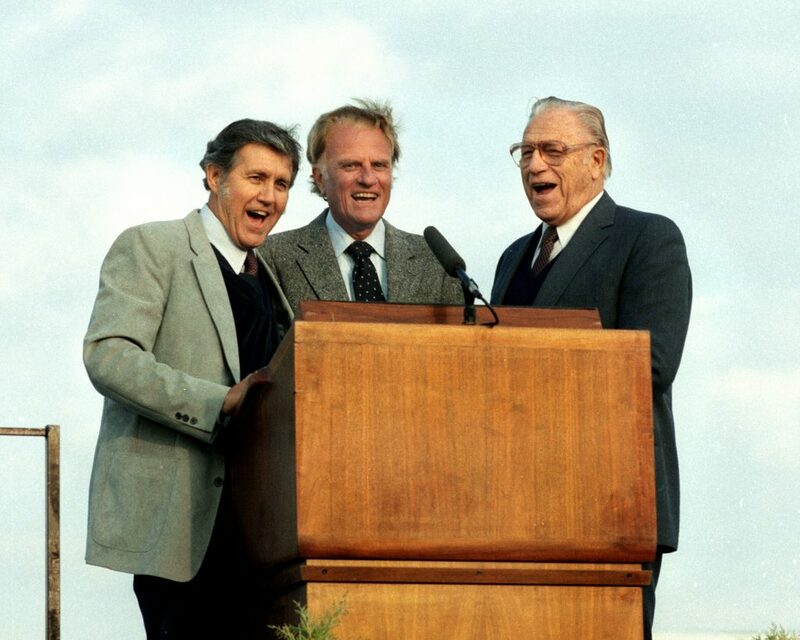 Singing “This Little Light of Mine”: Cliff Barrows, Billy Graham and George Beverly Shea in Dallas, 1987. 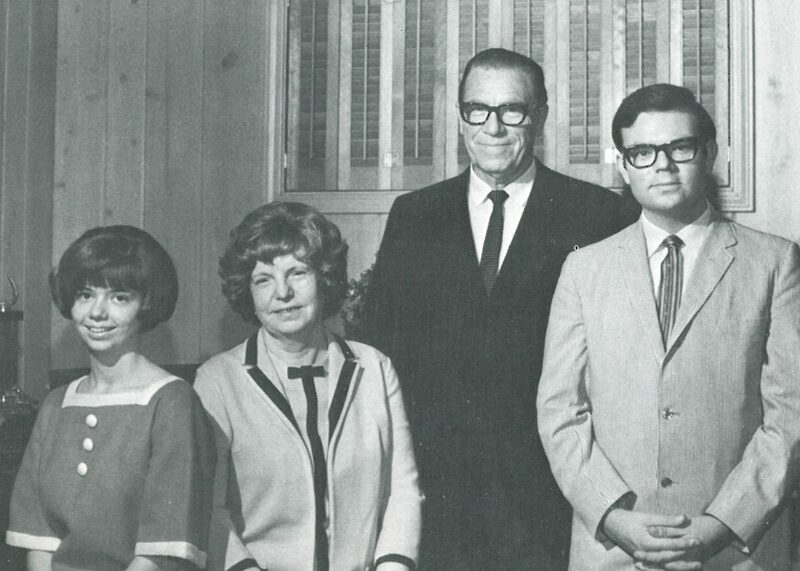 For nearly 60 years, George Beverly Shea was a soloist for Billy Graham’s Crusades around the world. Known as “America’s beloved Gospel singer,” the Canadian-born baritone passed away on April 16, 2013, at age 104. 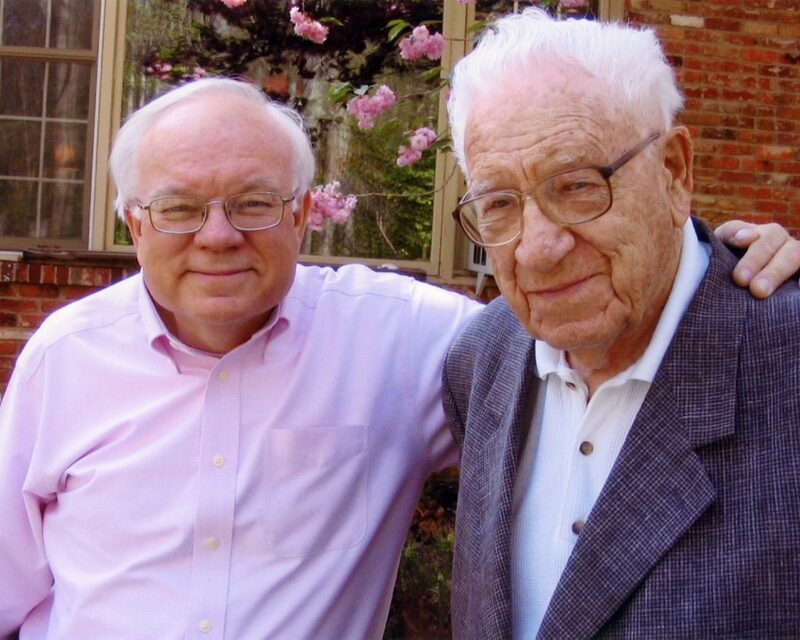 On Sept. 15, his son, Ron Shea, will share stories about his father’s Crusade days and a message about purposeful living at the sixth annual Men’s Breakfast & Tour hosted by the Billy Graham Library in Charlotte, North Carolina. >> Get tickets to the Men’s Breakfast & Tour on Saturday, Sept. 15. Ron Shea has worked for the Billy Graham Evangelistic Association for nearly 40 years, beginning with Billy Graham’s 1979 Milwaukee Crusade. He moved 31 times in 31 years, helping hire local staff and mobilizing committees for each Crusade event. Ron now serves as a ministry relations representative out of BGEA’s headquarters in Charlotte. His heart for sharing the Gospel is apparent and his sense of humor is endearing. 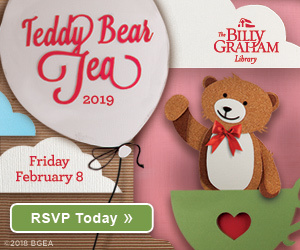 >> The Men’s Breakfast & Tour will be held at the Billy Graham Library in Charlotte. There are two seatings, one for 8 a.m. and another at 10:30 a.m. Get tickets. In addition to a hot buffet breakfast and uplifting music at the men’s event, Ron will field guests’ questions about his father, his own life and their time in Crusade ministry. Q: What will you talk about at the breakfast? A: The premise is how we all find our journey. Here are three guys, Billy Graham, Cliff Barrows and my dad [George Beverly Shea], who all came from a different part of North America. I’ll tell how they came together to work for the Lord and how we can always be available to do something for the Lord. No matter what age we are, no matter what job we have or where we are in life, we can do something for God if we’re available and open. Q: What was the first song your father composed? A: He had just turned down a Broadway opportunity. Not long after that, my grandmother put a poem on their old piano. The poem was “I’d Rather Have Jesus,” a famous old hymn, and my dad wrote the tune. It came to his mind and he sang it that day in church. That became his testimony for the rest of his life. 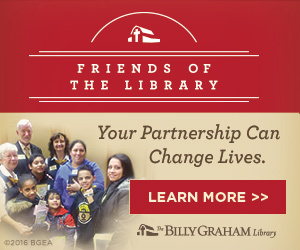 *Note: You can see that 120-year-old piano on the Billy Graham Library’s The Journey of Faith tour. Q: How did your father meet Billy Graham? A: Not long after that, my parents moved to Chicago and my dad started working in radio. He had an early hymn-time show. A young college student was listening from Wheaton College every morning. 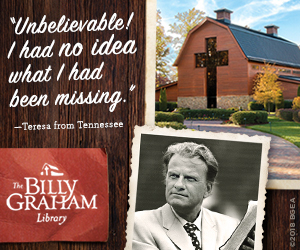 The young college student’s name was Billy Graham. Mr. Graham came to Chicago to meet my dad. Mr. Graham explained that he was doing meetings and a radio program. They teamed together to do a Sunday night radio program called Songs in the Night, which was Mr. Graham preaching and my dad singing. That was the beginning of their collaboration. A: I always say just because you’re born in a garage doesn’t make you an automobile. I don’t think I ever disappointed my father that I didn’t go into music but I did my dear mother. She had great plans for me. Q: What’s a funny story about you and your dad? A: His early record producer was Steve Sholes, who signed Elvis Presley to RCA. Elvis would send my dad Christmas cards every year. My best friend in the next block—we would take our BB guns out—put the cards on the back fence and shoot. I thought, “What fools we were” because do you know how valuable a card from Elvis Presley would be today? It wasn’t that we hated Elvis, we were just looking for a convenient target. Q: Speaking of Elvis, your dad touched so many with his rendition of “How Great Thou Art,” a song later recorded by Elvis and Willie Nelson. Why was that song so special to him? A: I heard my dad interviewed about it once and he said, “The words were strong.” That’s why he loved that song. I realized something about my dad. I think he loved the words almost more than the tune. So when he sang, he was singing the good words about Jesus. Q: What was your most meaningful Billy Graham Crusade moment? A: Seeing people come to Christ was most rewarding for us. A lot of our duties were behind the scenes. We [the team] would invariably come and stand at one of the entranceways to watch the invitation and we saw the gift that Mr. Graham had. In those final 10 minutes when he’d make the call, say “You come,” the skies would open up and the people would come. That was his gift—calling people to Christ. When I was working at a Crusade, I wouldn’t see my dad too much except for an occasional dinner. 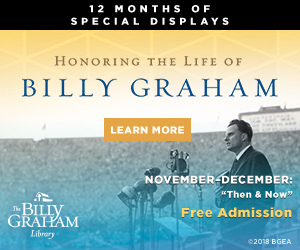 At Mr. Graham’s last Crusade in 2005 in New York City, a co-worker with special credentials said, “Ron, come with me.” She took me to the front of the platform so we could witness my dad singing “How Great Thou Art” for the last time with the Crusade choir. That was a moment I’ll never forget. Get tickets to the Men’s Breakfast & Tour.